Dark Legacy Comics may contain mature humor, voilence, kid shoving, time travel, and some monitored gnome cloning. DLC may also contain, from time to time, on rare occasion, a few F-bombs. 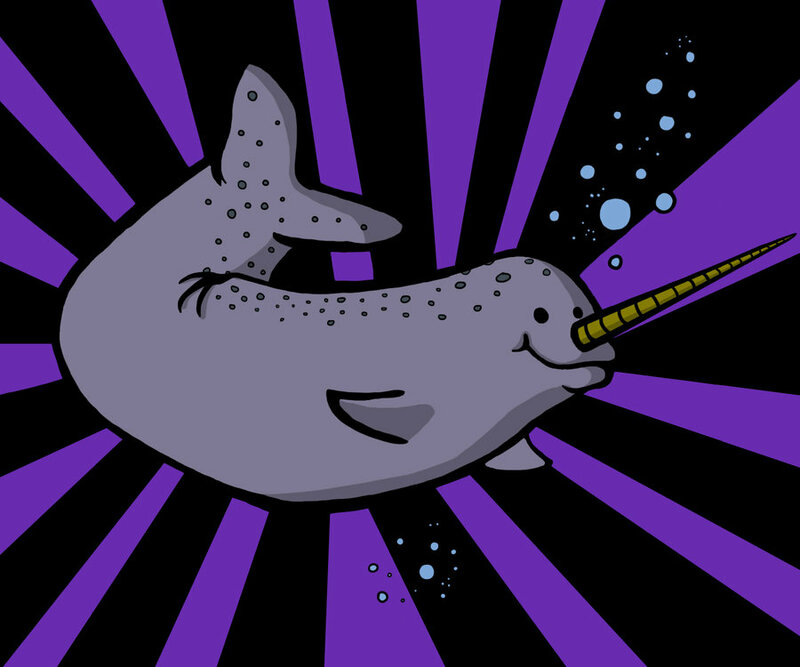 Oh, and here's a narwhal.